Ah me, too much happening – if only any of it was of any consequence. 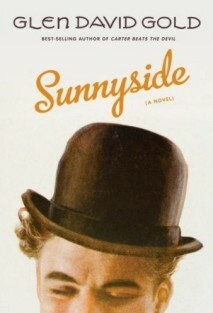 Anyway, apologies for the service from the Bioscope being a bit on the intermittent side of late, but there’s just time to note the publication this month of Glen David Gold’s novel, Sunnyside. Gold gained fame a few years back with his fantastical novel of warring magicians in the 1920s, Carter Beats the Devil, and he seems to have pulled off a similar trick with Sunnyside, this time by taking as his subject the cinema of roughly the same period. Scores of novels have tried and failed to depict movie stars and stardom or genius. Yet here Gold conjures a nuanced character who springs to life. Chaplin comes across as witty, charming, insecure. He dresses with a dandy’s care, suffers depressions and wears a perfume that smells like citrus with “base notes of money.” He woos women and conducts a book-length joust with Pickford, whose air of certainty and business smarts confuses and almost terrifies him. Chaplin’s doubts center on his sense of being not good enough, an uncertainty that he knows he must somehow allow to filter through his art. Gold places the center of Chaplin’s ache in his longing for love — and his fear of the same — in his relationships with women. Chaplin’s mother, Hannah, was a music hall singer whose career was ruined and who went mad, leaving the young Chaplin destitute, and the whole Chaplin-arc of “Sunnyside” is aimed at the moment, dreaded and longed-for, when Hannah arrives in Los Angeles. “He could meet her eyes, but only as though they were tapping his fingers against a hot stove. They were still a deep hazel, cloudy and merry, for now,” Gold writes. “It’s okay if you don’t love your mother,” Hannah says, as “Sunnyside” speeds at last toward its conclusion with a sequence of scenes that amaze, startle and move. As someone who found Carter Beats the Devil hugely disappointing, I shall reserve judgement until I read Sunnyside. But I will have to read it (all 559 pages of it), and the book is certain to do well, and to draw people anew to Chaplin and the richly metaphoric world of silent cinema. “Carter” disappointing? Them’s fightin’ words! His ability to evoke the milieu of the entertainment industry in California in the Teens and Twenties is unparalleled. That said, some critics have professed themselves unconvinced by Gold’s attempt in “Sunnyside” to juggle multiple unrelated storylines. I can remember being hugely disappointed by it, but I can’t remember precisely why. Something about the characters being poorly done, or just plain bad writing I think. I gave away my copy to a charity shop – it takes an awful lot to make me give away a book once I’ve bought it – so I cannot check to see if it might annoy me all over again. 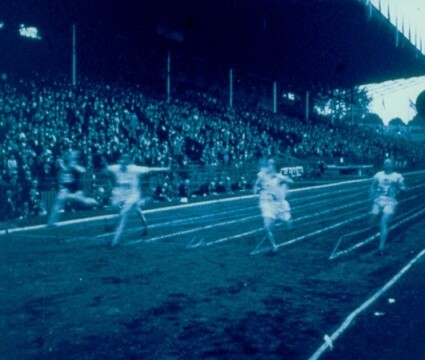 Thanks for the book link – it’s certainly a bravura opening. I hope I have wronged the man. This is great news! Only the other day I was wondering what had happened to this book, which has been available to pre-order on Amazon for about 5 years. I loved ‘Carter Beats the Devil’, probably because I was writing about magic theatre at the time and Carter made it all seem fun again. Mostly I liked it for the intricate plot and the big, fat my-first-novel ambition and enthusiasm of it. I hope the long-delayed follow-up doesn’t suffer the same fate as Donna Tartt’s The Little Friend, swamped by the pressure of the follow-up. I loved Carter Beats the Devil, for many reasons, but not every book is for every reader. No shame in that. If we all liked the same stuff, this world would be boring beyond all ability to endure.